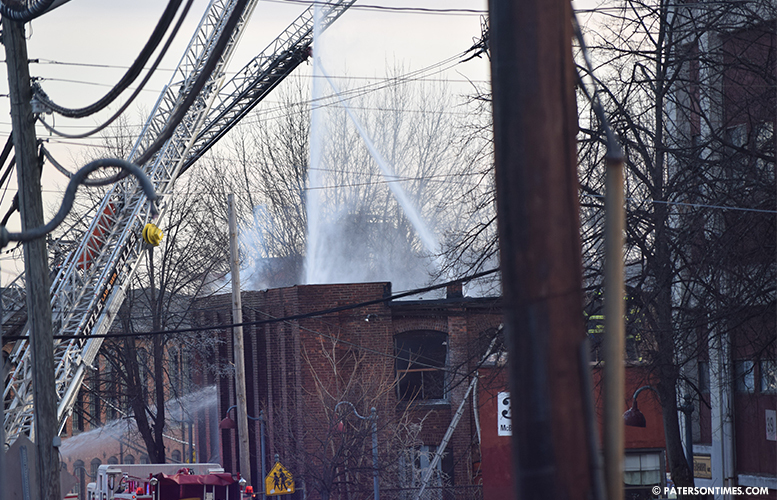 A vacant mill building on McBride Avenue ignited on Wednesday morning. As many as 60 firefighters were battling the second-alarm blaze. Deputy fire chief Michael Fleming said the fire at 29 McBride Avenue extension was reported at about 7:20 a.m. He said there were no reported injuries, but the cold weather has made battling the flames a tough task. “Ice has made it difficult for the firemen,” said Fleming. He said the flames were limited to the single, 100 by 256, building. Firefighters were battling another fire at a vacant building at 412 Rosa Parks Boulevard when the McBride Avenue fire came in, he said. The second-alarm Rosa Parks Boulevard fire was reported at 5:51 a.m. Firefighters observed heavy fire in the second floor spreading into the attic. Firefighters had the flames knocked down little before 6:30 a.m. The vacant mill building will likely have to be demolished.